Bringing in European best practice and with the help of EUAM experts, the Ukrainian penitentiary services are undergoing reforms to better service prisoners and move towards rehabilitation-oriented services. By Decree No 337/7 of 19th November 2015, the Ministry of Justice has established four working groups on optimization of the functioning of State Criminal-Executive Service of Ukraine and included a EUAM representative – Vadym Chovgan, Penitentiary Reform Officer, into one of these working groups. EUAM has handed over its Penitentiary Reform Roadmap to the Ministry of Justice. This document provides guidelines for Ukrainian authorities on necessary changes in the Ukrainian penitentiary system. At a meeting 9 December, short and long-term plans for penitentiary reform of Ukraine were elaborated by EUAM and officials of the Ministry of Justice. They focused on the issues of demilitarization of the State Penitentiary Service, its subordination to the Ministry of Justice, fusion of regional offices of State Penitentiary Service etc. Basing on EU best practices, EUAM presented the relevant suggestions that were agreed by all participants. The plans will be further discussed and approved by the working groups on penitentiary reform and the administration of the Ministry of Justice. 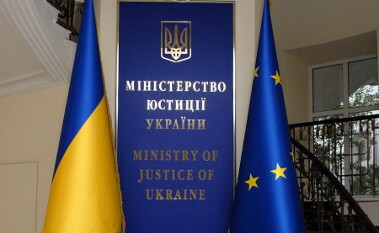 The meeting on 9 December between EUAM and the Ministry of Justice was attended by Natalia Kozlovska, Head of State Bodies Liaison and Information Analytics Department of the Ministry of Justice of Ukraine, Olexandr Guryn, Deputy Head of State Bodies Liaison and Information Analytics Department, and Pavlo Kudlay, Head of Penitentiary Service Liaison Division. EUAM was represented by Vadym Chovgan, Penitentiary Reform Officer.